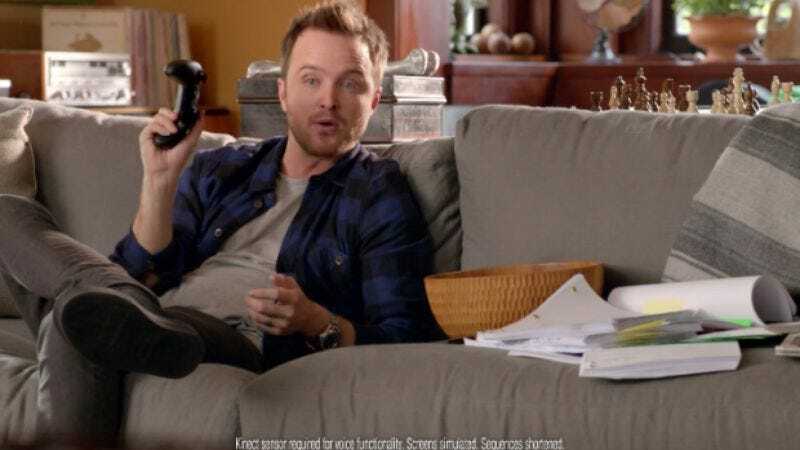 Aaron Paul’s voice has already proven adept at getting the whole Internet excited, but it turns out he’s also quite good at turning your Xbox on. As The Daily Dot and BuzzFeed note, Xbox One owners have taken to Twitter and Reddit to complain that commercials starring the Breaking Bad actor—where he demonstrates the ease of the console’s voice commands—are activating their own consoles, launching the game Titanfall, and sometimes even turning off their televisions. That’s because Xbox One is always listening, even when it’s powered off. Yeah, science, etc. Neither Paul nor Microsoft have yet to respond to complaints, but it’s recommended that users try pulling up a chair and explain their problems at length to their Xboxes. That’s what they’re there for.